If you go to a Green Bay Packers game at Lambeau Field this season and have a craving for bacon, the cheeseheads will have you covered. The Packers are opening a concession stand that specializes in all of your bacon needs. The team announced the news to shareholders on Thursday, and needless to say it is being very well received. 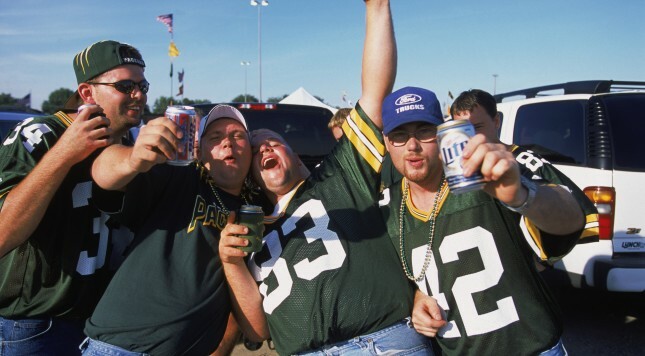 Packers and Bacon – match made in heaven? Team announces new "bacon themed" concession stand this year — fans loving the concept. According to ESPN’s Jason Wilde, shareholders on the call went nuts when the news was announced. So what kind of items should fans expect to be able to order off the bacon-influenced menu at the concession stand known as Patrick Cudahy Packhouse? Only the finest bacon products Wisconsin has to offer, like bacon-wrapped baked potatoes with chili, bacon-crusted cheese curds with, what else, but some bacon-ranch dressing for dipping. This sounds like a good start, but might we suggest a bacon-wrapped bratwurst, if such a thing is not already planned? Or simply a grilled cheese sandwich with bacon? One thing is for sure, the new bacon-themed concession stand is likely to be a hit on game days in Green Bay, because it seems adding bacon to anything in this country is an automatic money-maker, and that’s not a complaint.